ONE Championship Belt. Getting it is many combat athletes’ dream. A picture taken that night at the Singapore Indoor Stadium. 昔日擂台上的對手。國際格鬥超級巨星雅桑克萊(右)賽前到Evolve MMA作訓練後和Orono教練(左)合影留念。Yodsanklai Fairtex (R) came to Evolve MMA to train before his ONE Championship debut and took a picture with Coach Orono (L). 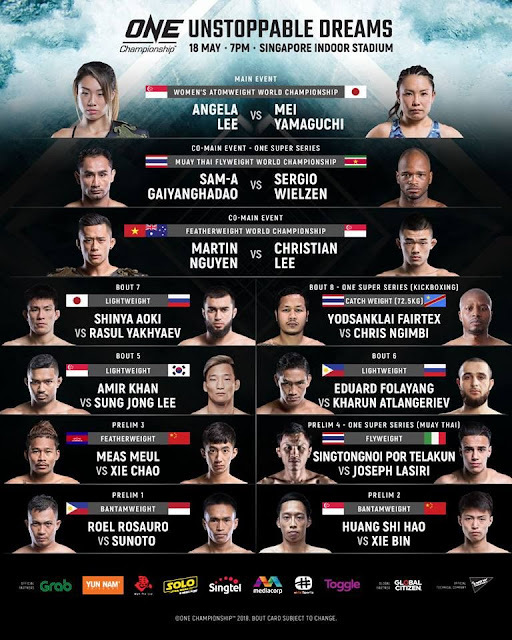 A major event of my martial art journey to Singapore this time is to go to watch ONE Championship-Unstoppable Dream. I was glad that I bought an early bird ticket with a discount, because I heard the event tickets were sold out a week prior to the event. The event was held at the Singapore Indoor Stadium with a capacity of 12,000 seats. There were several reasons to pick this event to attend. There were several reasons for this. The event was supposedly the most stacked card in the history of ONE Championship with three title fights. Besides scintillating MMA match-up, it had two Muay Thai fights and one Kickboxing fight. Secondly, there were 6 members of the Evolve Fight Team on the card. They were Angela Lee, Sam-A Gaiyanghadao, Christian Lee, Shinya Aoki, Amir Khan, Singtongnoi Por Telakun. 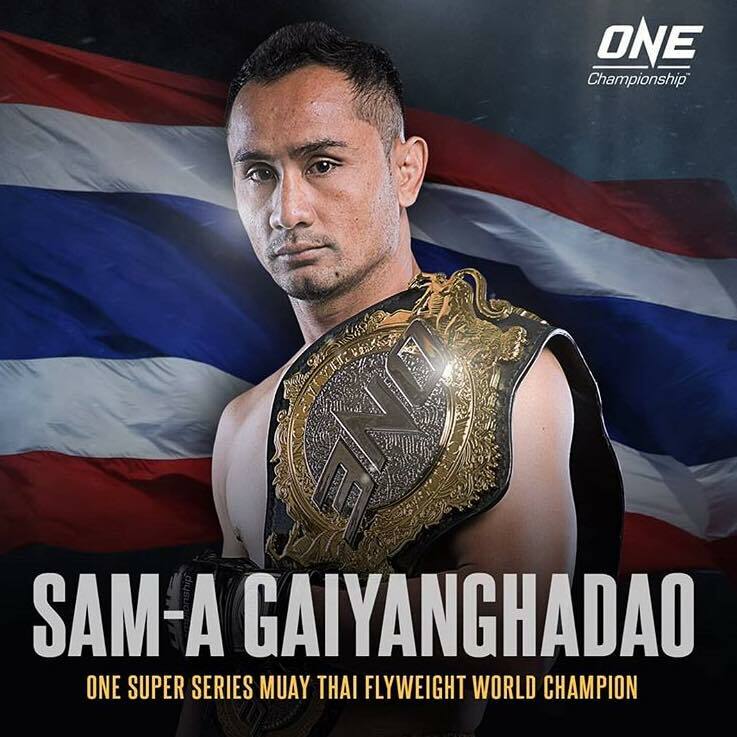 Most important reason was one of my Muay Thai coaches, Sam-A, was having a title fight for the inaugural ONE Superseries belt and I wanted to be there to cheer for him. Additionally, one of my favorite combat superstar, Yodsanklai Fairtex, was making his debut. The result from that night. 5 out of the 6 Evolve members won their fights; including Kru Sam-A knocked out his opponent in round 4. I was so happy for Kru Sam-A to pick up his 366 wins (366-46-9). Although, he has won many champion belts in Muay Thai, because of ONE Championship’s worldwide appeal, I know this ONE belt means something special for him. I always think that martial arts and combat sports should provide positive energy and induce positive thinking. My martial art journey to Singapore reinforce this belief. I myself is a good testament of this. Each time I return from my trip, my body is tired or in pains, yet I feel totally reinvigorated and refreshed. I like the way that ONE Championship promoted itself with positive stories of its athlete. Unlike some other organization seems to prefer using drama, hostility and confrontation to sell the tickets or pay per view. For example, all six members of the Evolve Fight Team on this Singapore card all had their stories of overcome adversities in life to achieve their dreams. For starter, the life of a professional fighter is not easy to say the least. Many of them have to make many sacrifices; for example making very little money or being apart from their family. Amir Khan from the Evolve Fight Team was born with Tourette's Syndrome and has to endure hundreds of uncontrollable twitches every day and was bullied from he was little. After learning martial arts, he became more confident. Now, Amir Khan (10-3) with this latest victory, extended his record for most knockouts at eight and expected to have a championship fight this year. Like many professional Muay Thai fighters, coach Sam-A was born in an impoverished family. When he first stepped into the ring to fight he was only 9 years old. Coach Sam-A, despite just won a Muay Thai champion belt when he was 19 years old due to the unexpected closure of his gym, he was forced to work at the construction site 13 hours each day with only one meal to eat. Those were hardest time in his life, yet he never gave up. 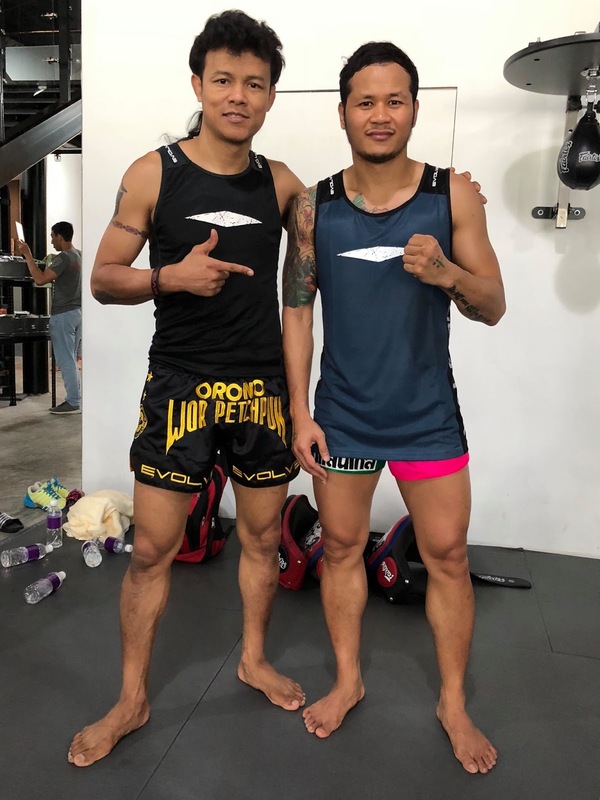 Same as coach Sam-A, another member of the Evolve Fight Team, coach Singtongnoi Por Telakun is a Muay Thai world champion. Less than 2 years ago Coach Singtongnoi was battling stage 3 cancer. Now, he could return to fight and defeated his opponent relatively easy in round 2 by way of technical knockout (Note). I saw his training prior to this fight. It's hard to believe that such a strong man had cancer before. Stories like these inspire me and many others. On my training trip I have learned Muay Thai, MMA, , BJJ and some Boxing. I have learned to appreciate the combat sports and got a better understanding of the similarities and differences between traditional martial arts and combat sports. Equally important, I have become more positive and stronger mentally. I wish all practitioners of martial art or combat sports can all get positive energy to help them achieve their dreams. One of my Brazilian Jiu-Jitsu coaches, Leandro ThomasIssa da Silva said: “My dream is bigger than my temptation.” There are many temptations in life would derail us from achieving our dream. If we can resist these temptations and stay on our course, then maybe our dream would become unstoppable.